KR580VM80A - is an Intel 8080-compatible Soviet processor, which was in manufacturing until mid 90's. Compared to KR580IK80A die size is 20% smaller, IO section is reworked. 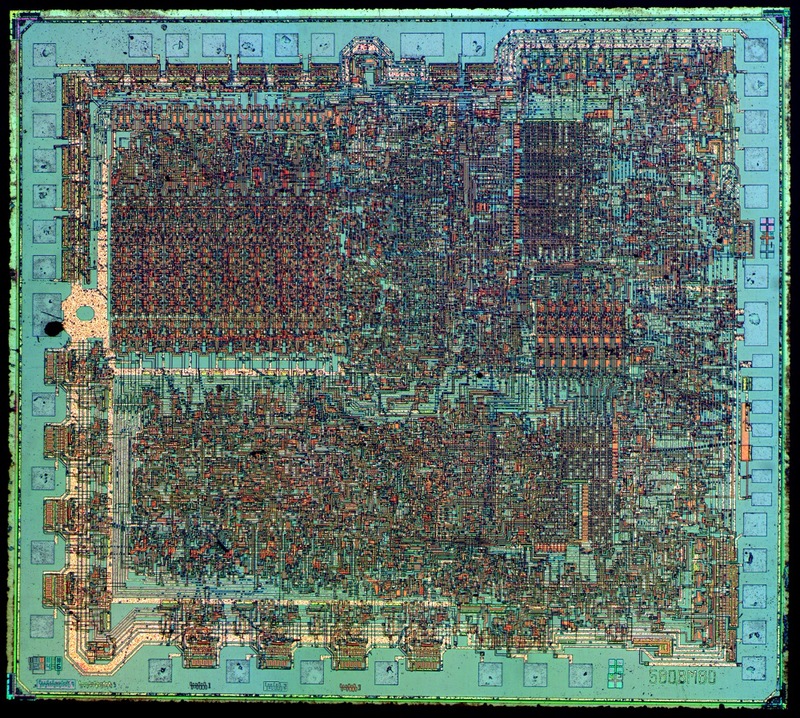 Die size 4634x4164 µm, 5µm technology node.